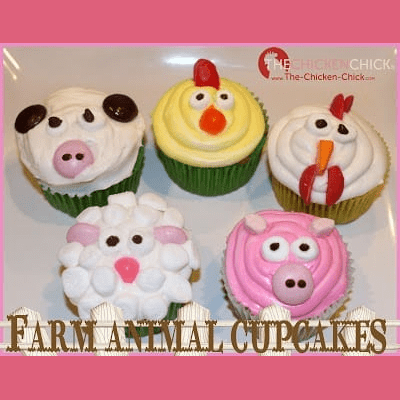 What’s more fun than making farm animal cupcakes? 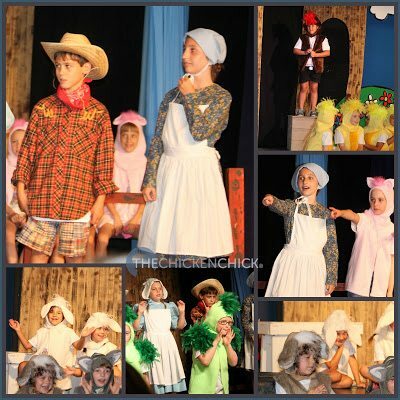 My daughters spent the week in summer theater camp preparing for the musical production, “E-I-E-I-Oops!” This adorable moosical featured 28 very young actors and actresses in the roles of farmers and singing barnyard animals who, after learning that Madame Cow had lost her moo, help restore her confidence and sing their way to a barnyard hoedown! 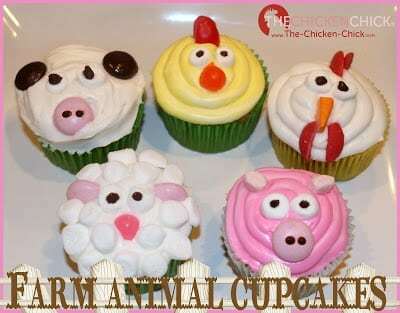 I felt the cast party after the play should include treats almost as adorable as the play so we made these farm animal cupcakes as a family the night before. 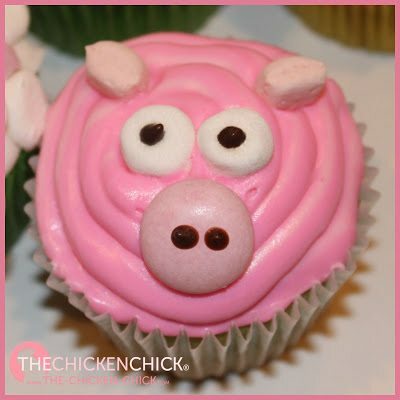 The kids were brilliant in their roles and the farm animal cupcakes were a big hit with the kids! 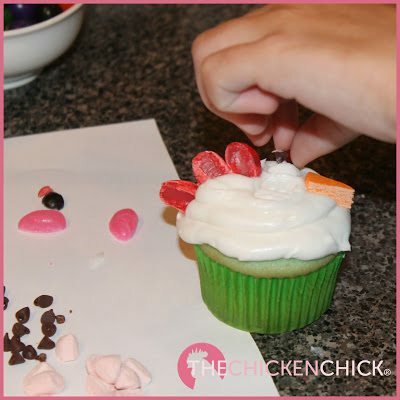 These cupcakes are not a precision project- don’t worry if you can’t find the same types of candies I used. Use whatever you can find. 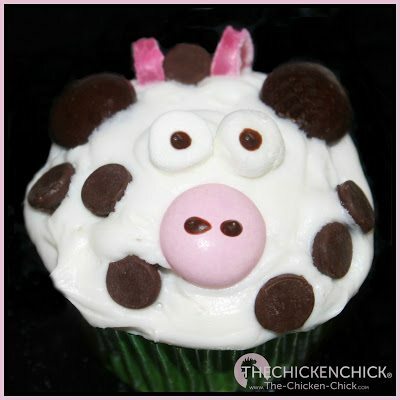 A good sharp knife and a little molding work wonders in creating edible farm animal faces. 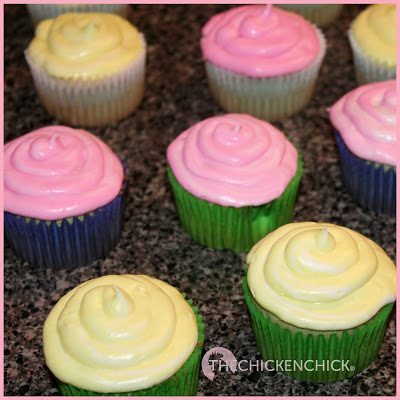 While I used a cake decorating bag and tips to pipe the frosting on the cupcakes, a good ol’ butter knife and a can of store-bought frosting would be perfectly fine too. Cut ~1″ of narrow end of decorating bag off with scissors. Place coupler inside bag, add tip #12 to outside of bag and screw the coupler onto bag. Frost cupcakes starting at outside edge, moving in one continuous circle towards the center to finish. 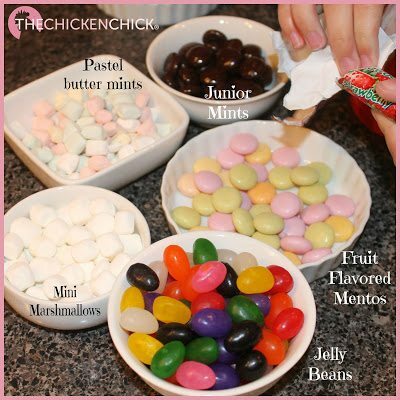 Chick: red jelly beans for comb, orange jelly bean for beak. Rooster: red Wilton candy melt cut in half for comb and another for wattles. Circus peanut for beak. Lamb: pink Mentos halved for ears, marshmallow halves for wool and pink jellybean nose. Cow: pink Mentos for nose, jelly beans for horns (that cows don’t have) and Junior Mints for bizarre ears. Fill decorating bag fitted with #5 tip & fill with melted chocolate. 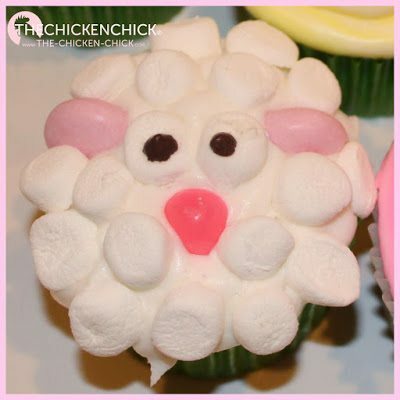 Dot each marshmallow eye with chocolate and each pig or cow nose with 2 dots. Refrigerated in an airtight container, this icing can be stored 2 weeks. Re-whip before using. Is there anything you can’t do? Move over, Martha Stewart! 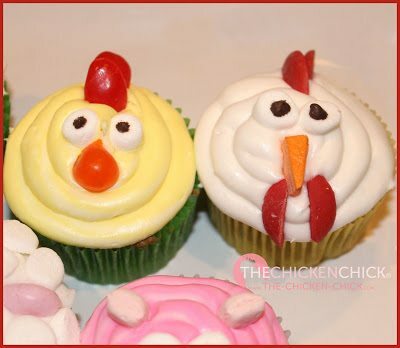 Seriously, there cupcakes are so cute!!! Yummy, cup cakes for mom and worms for my girls! Yup I have a lot of mealworms because the ladies go wild for those worms. I just wondered (hoped) it’s okay to give them more of the worms than the scratch. 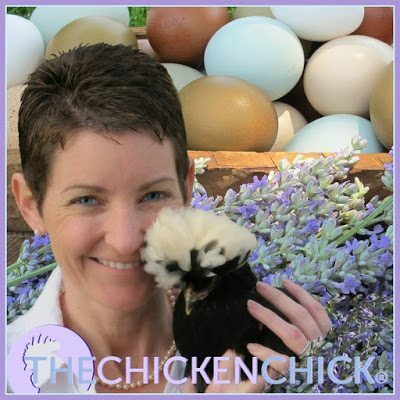 Scratch is usually corn and some grains, Mealworms are dried worms.